Historically Saleen hasn’t had a strong presence at the SEMA show, but after debuting their 2010 S281 show car last year, Saleen has followed up with a custom 2011 S302 Mustang showcasing several of the company’s newest parts as well as a new optional Lights Out Yellow custom paint. 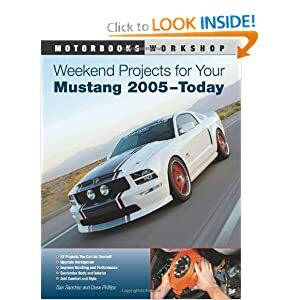 The latest additions to the Saleen catalog include a new 5-spoke 20-inch wheels featuring a unique machined cut aluminum surfacing complimented with satin graphic paint as well as a carbon fiber chin splitter and a carbon fiber rear spoiler that give the car a much more aggressive look. The body components will only fit with 2010+ Mustangs with the Saleen body kit and feature dual-sided, high quality carbon fiber for a premium look. Saleen styled extreme lightweight wheels have unique machine cut aluminum surfacing back dropped by satin graphic paint. The high temperature forged aluminum wheel with precision-cut 5-spoke structure connects all the Saleen power to the road with strength and style. Increase front end down force to keep your Saleen planted on the track. Top quality, lightweight carbon fiber provides aerodynamic improvements and aggressive looks to complete your Saleen for the road or track. Improve corning traction by increasing rear down force and reducing lift. Lightweight carbon fiber construction with molded-in pedestals provides the strength needed for high speed performance.